One of the most versatile, iconic ingredients of the fall season is winter squash. However, it is often overlooked by the home cook because of its perceived lack of flavor, difficulty with peeling and cutting, and lack of experience beyond the baked with butter and brown sugar preparations. Winter squash is one of the richest sources of plant based anti inflammatory nutrients such as omega 3s and beta carotein and also contains high levels of lutein & zeaxanthin for eye health and vitamins A & C for immune support! With varieties such as butternut, acorn, sweet dumpling, spaghetti and delicata available at markets and produce bins, the sky’s the limit on what yummy foods you can make. If prep is the issue, you can even find peeled pre-cut offerings! 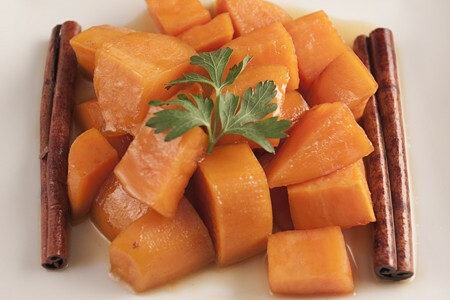 You can roast cut-up cubes with savory herbs; stuff baked or steamed halves with savory or sweet fillings; use “spaghetti” strands as a gluten-free, lower carb base for pasta sauce; oven-fry delicata slices for a delicious alternative to french fries and even puree steamed or baked squash pulp to create moist, nutritious baked goods! 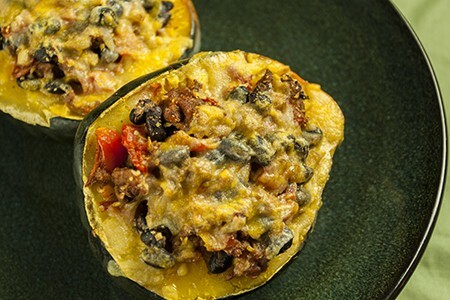 To get you started, check out this recipe for Southwestern Stuffed Acorn Squash. 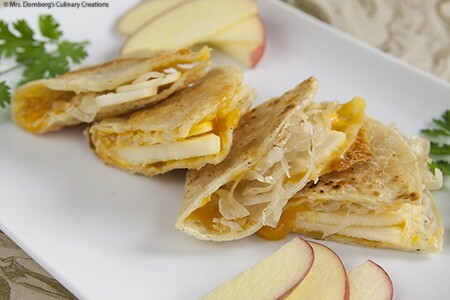 It is naturally gluten-free and easily adapted for vegetarian and vegan diets. For even more recipes, tips, tricks and inspiration for using winter squash, attend our Winter Squash: Sweet & Savory class on Wednesday, October 17! A healthy lifestyle begins in the kitchen, and squash is a GREAT place to start! Preheat oven to 400 degF. Scrub outside of squash to remove any dirt. Cut squash in half horizontally and scoop out seeds. Place squash halves, cut side down in a baking dish (glass, preferably). Add water to a level of about ¼ inch and bake until tender, about 35-45 minutes. 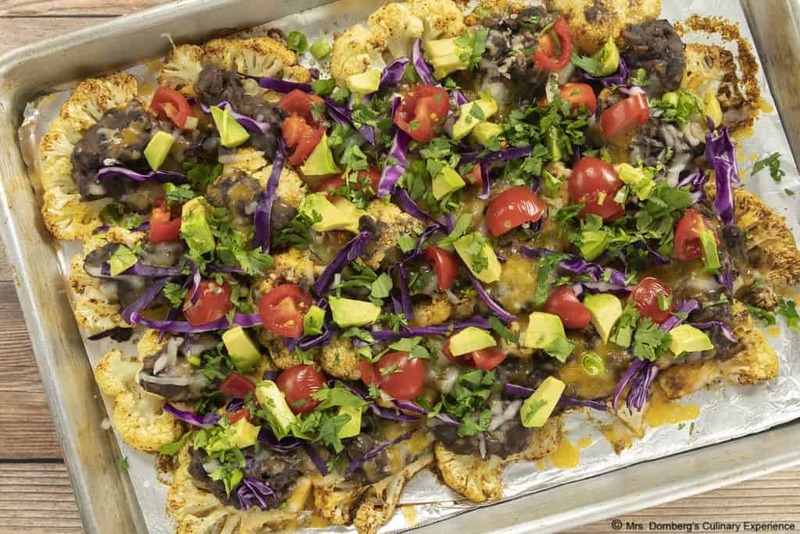 Remove from oven and set aside and reduce oven temperature to 325 degF. Add onion and bell pepper; cook, stirring often, until softened, 3-5 minutes. Stir in garlic, chili powder and cumin; cook for 30 seconds until very fragrant. Stir in tomatoes and beans, scraping up any browned bits. Cover, reduce heat, and simmer until the tomatoes are broken down, 10-12 minutes. Divide filling among squash halves. Top with cheese. Place back in the baking dish (discard water) and bake until heated through and cheese is melted, 8-10 minutes.